A landmark Billy Wilder dramedy that got imitated too much and lost some punch as consequence, that being no fault of the blueprint, which still compels for BW's airtight script and Bill Holden starmaking to surpass even his Sunset Boulevard. Poster art emphasized the fun, Robert Strauss all over one-sheets in his "Animal" guise. His and Harvey Lembeck's shenanigans would be easiest footage to lose today; together they frankly date the pic. 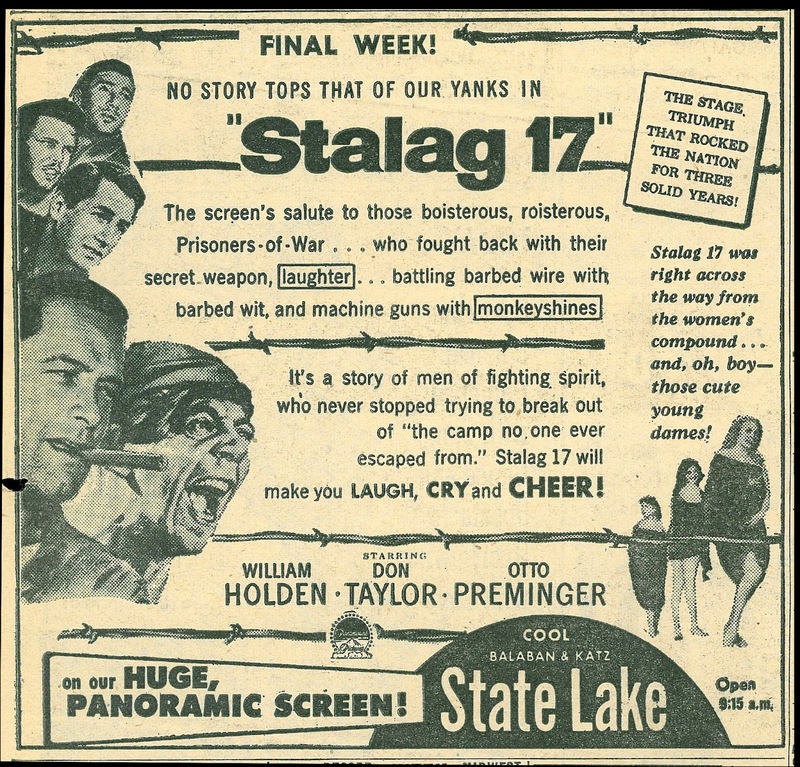 But would we have had Lembeck's immortal Eric Von Zipper of AIP's beach series if not for Stalag 17? I found myself always waiting for Holden to take back over, as the story and resolution of its essential mystery (who's the German plant among P.O.W.'s?) lies with him. Born loser Joe Gillis of Sunset Boulevard has become proactive, if anti-heroic, Sefton a sort of me first we'd warm increasingly to in the 50's, and especially so after Holden patented it. Too many look-backs credit Brando, Dean, or such as summing up the decade, but Holden was more the real deal for reflecting conflict that roiled in men of the era. Stalag 17 needs recognition too for expertise of Wilder writing (with Edwin Blum) back yonder when script construction mattered. There are so many Eureka bumps for the audience: the light bulb chord, chess piece, a traitor unmasked. Wilder's films were better than anyone's when it came to narrative satisfaction. A pity he fell out with Paramount after this and Sabrina. They needed each other, Wilder for the studio's polish and tech support, Paramount for quality pics BW contributed to otherwise bland seasons. Check out Love In The Afternoon and consider how much more elegant it would at least have looked amidst Paramount environs. Hardly a unique opinion, but I always thought William Holden perpetually underrated. I feel that this film aged pretty well, and better than many others from that era. It does feel stagy, since it was originally a play. I actually enjoy Robert Strauss performance, which he basically effectively repeated for Jerry Lewis vehicles later in films that had more exposure. 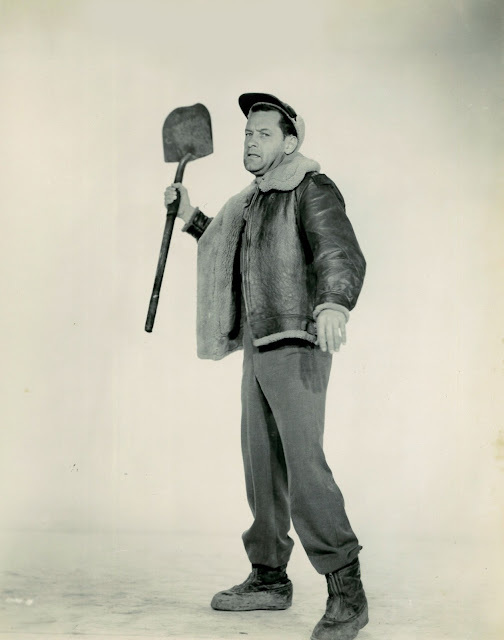 William Holden's performance is so good that it should have been quite a surprise back then. Holden must have had great instincts or a least a very savvy agent. The string of films he made in the 50's is truly remarkable... not just SUNSET BOULEVARD and STALAG 17, but also BORN YESTERDAY, THE COUNTRY GIRL, PICNIC, BRIDGE ON THE RIVER KWAI, and LOVE IS A MANY SPLENDOR-ED THING... and years later THE WILD BUNCH and NETWORK. I would agree in some ways he defined male movie stardom in the fifties more than Brando or Dean. 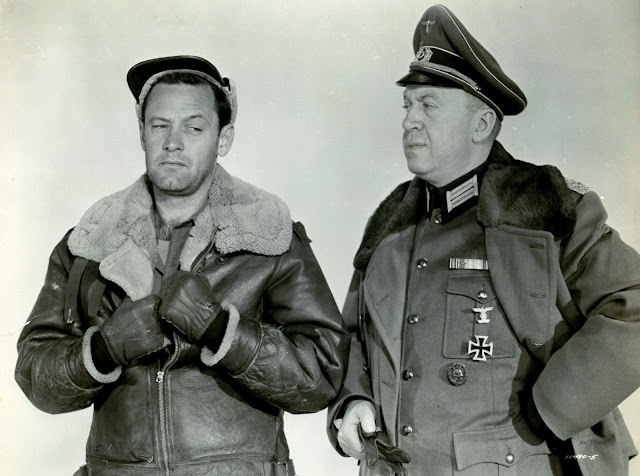 Stinky heard that Billy Wilder became disenchanted with Paramount when the studio suggested the Nazis become more sympathetic for the German audiences, and the villain changed to a Polish soldier, but Stinky tends to disbelieve this. Suspect the break had more to do with money and artistic freedom. Love In the Afternoon may have looked slicker had it been made at Paramount, but Stinky still prefers Love In the Afternoon to Sabrina, despite all that studio gloss. Eric von Zipper was a childhood favorite, with Harvey Lembeck reminding Stinky of a Jewish Lou Costello. Stinky remembers once staying up well past his bedtime to watch Lembeck in an episode of Love American Style. Although it was just a few years after the Beach movies, Harvey looked ancient. William Holden is a great actor, and Stinky's favorite. William Holden made a film with MY favorite actor, one I wrote a book about, Alec Guinness. The Wolf, man. Stinky's better half, Lynne deDarnell, whose judgment is suspect because she does not like Westerns, loves Stalag 17, so she is partially redeemed. Unfortunately, she keeps losing her DVDs of Stalag 17, and Stinky has to keep re-buying, seriously depleting his meager allowance savings. 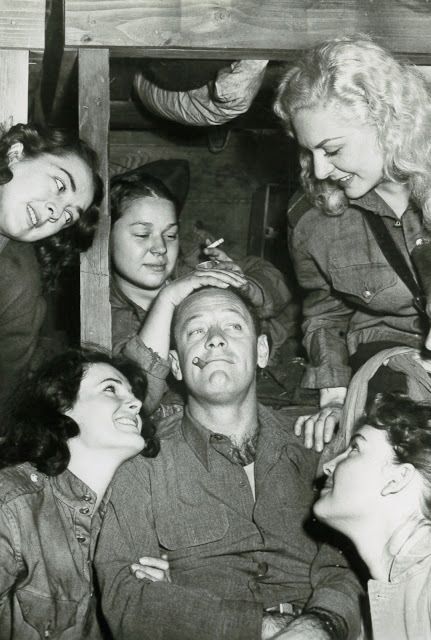 William Holden is much like John Wayne in the respect that he needed to age in the barrel, so to speak, before he became the interesting actor and star that he later became. He’s just a serviceable leading man in the early 40’s, not particularly memorable, and like many actors of his generation (and unlike Wayne), some of that barrel ageing came from military service in WW2. Holden developed that cynical edge, his voice sounded like a lot more cigarettes and booze had hardened his vocal chords (modern actors should smoke and drink more, or at least take some voice and diction classes, too many sound like valley girls talking whiningly through their noses), and he just looked like someone who knew who he was a bit better than before. Pretty much from BLAZE OF NOON onward, he’s a much more interesting actor. According to Leonard Maltin (in "The Great American Broadcast"), Harvey Lembeck's role was originally cast with Cy Howard, creator of the radio shows "My Friend Irma" and "Life with Luigi." "After several days of filming, Wilder realized that while Howard was naturally funny in person, he was not coming across onscreen." Lembeck is also remembered as Sgt. Bilko's partner-in-crime, Corporal Rocco Barbella. I think that William Holden embodies The 50's, much like Robert Mitchum embodies Noir. This isn't to say either one is limited in that regard, I think they're outstanding. I've always felt that Holden's tragedy was he never realized just how good he was. I wonder if anybody's ever tried to revive the play of Stalag 17 on Broadway or the West End?